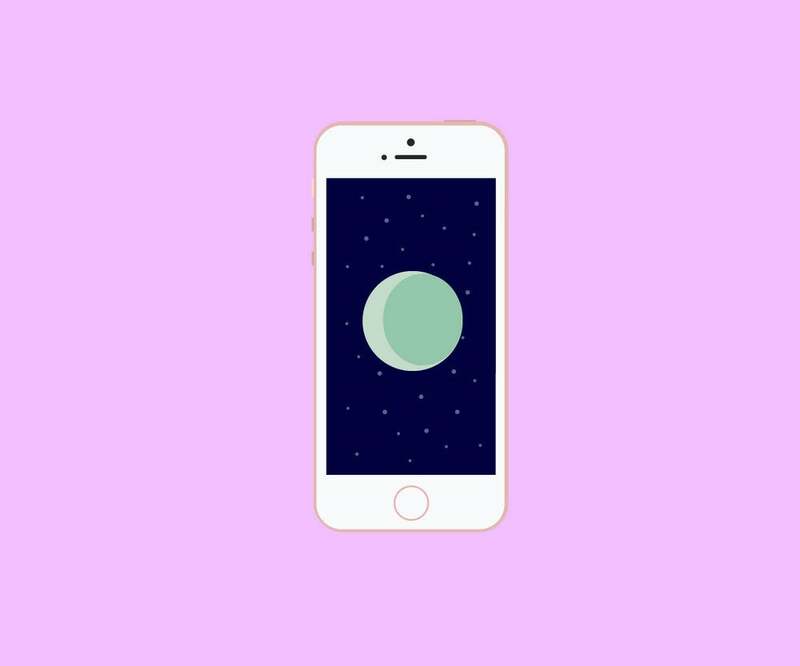 Is the Key to Self-Care on Your Phone? According to some apps, yes. The desire to “unplug” has existed for almost as long as social media and the internet has comprised a fair portion of the average person’s day. It’s an idea that’s uncomplicated and an act that has relatively predictable results: When you log off, turn off your phone, and shut your 500 internet tabs, you give yourself a chance to wind down and de-stress. But in 2018, it got a little more complicated than that. Self-care—a buzzword that’s been interpreted in different ways, many of which digress in a far different direction than its origin—has found its hub in the tech world. Named the top app trend for 2018 by Apple, self-care is the category in which you’ll find a wide range of apps: some that offer meditation guidance, those that give nutrition and fitness advice, and a few that provide tracking tools for all kinds of routines. For the apps that exist under this expansive umbrella, the ability to provide some sort of positive service from the convenience of a mobile device is a game changer. For those who may not have access to wellness resources (like classes and workshops), apps can close a self-care gap—of course, with the understanding that they do require a smartphone. When these kinds of resources become more easily accessible, they can better help to form habits. “Accessibility helps make these practices sustainable for people who never would have walked into a meditation circle or a yoga studio or perhaps couldn’t afford wellness classes or counseling sessions,” writes a spokesperson for the meditation app Calm (which was named the 2017 app of the year). With different meditation classes, breathing exercises, and calming music, this app targets a large audience that may, on an individual level, have a wide array of needs and desires, allowing individual users to find their own ideal path to mindfulness. Fabulous, too, hinges a large portion of its approach on the idea that self-care isn’t a trend but rather a habit, emphasizing the importance of actually keeping with it though research by the Center for Advanced Hindsight at Duke University. It’s important to note that for this app, self-care is predefined as a holistic routine involving physical fitness, mental agility, and self-esteem. Each user’s routine is customized with the help of a setup questionnaire, but ultimately, the steps are written out in a direct way—they’re not necessarily up for interpretation. For other apps, the time commitment for self-care is the biggest barrier to be branched, offering peace of mind in steps that take mere minutes and occasionally, seconds. Here, self-care is largely mental, offering tracks to goals to find “fulfillment,” “beat burnout,” “calm anxiety,” and “put you first.” The audio lessons provide guidance for users, depending on what their emotional needs may be. It’s clear that an environment of stress and desire for increased accessibility have piloted self-care apps onto thousands of phones, but here’s the rub: This digital translation, much like commercialization, has sometimes blurred the notions of what “self-care” really is. In 1988, civil rights activist Audre Lorde coined the concept, writing, “Caring for myself is not self-indulgence, it is self-preservation, and that is an act of political warfare.” This philosophy today is not the true backing of all things billed as self-care, and in that, the wellness movement does it a disservice. That’s not to say apps that find themselves under the umbrella push too far against it; the press for increased access to mental health resources is absolutely in line with Lorde’s philosophy, but the desire to increase productivity or reach a fitness goal is, largely, better suited to a more general label under “wellness.” Self-care is a constant practice—it’s not a trend or an excuse to buy an expensive face mask. The apps that center their resources on simple practices that help users to care for themselves do offer a respite from stress and anxiety of everyday life, and some work even further, offering diaries for users to track ultra-simple activities. In Aloe Bud, an activity log provides reminders for users to breathe deeply, drink water, take a break, and more. It’s a tough reality that the business of modern life and the all-consuming drain of technology can make it easy—almost expected, even—for people to forget to take a moment for themselves, get up and stretch, hydrate, and treat themselves kindly. Self-care is a constant process—but sometimes, having a reminder, even in the form of an app notification, doesn’t hurt.